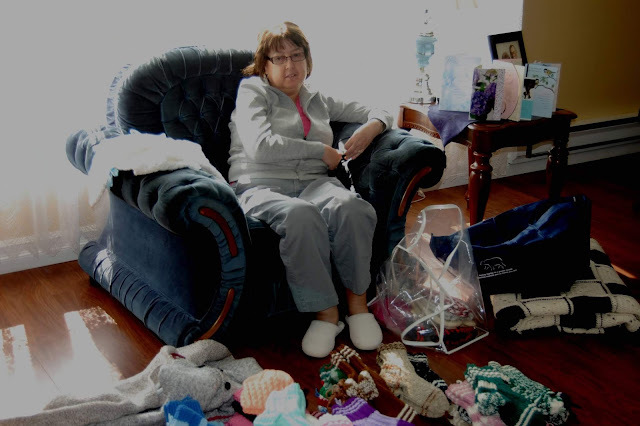 Annette Myers poses with her knitting, Bird Cove. Photo by Lisa Wilson. 2010. Today's Folklore Photos come from The Straits collection on Memorial University's Digital Archives Initiative. The Strait of Belle Isle is a geographic region on the northwest coast of Newfoundland's Great Northern Peninsula. Colloquially know as 'The Straits,' this coastal strip runs from the community of Plum Point in the south, to Eddies Cove East at the northernmost tip. Between these two locales, several small communities dot the coast. Families first arrived at The Strait of Belle Isle in the 1880s, to exploit the salmon fishery and perhaps set up a base for the fur trade. Early inhabitants were there seasonally, but by 1884, permanent settlers arrived and began fishing for cod, herring, and began sealing practices as well. Although resources may have shifted in value, abundance and importance, over the years, the local drive to work the land and sea has remained consistent. While the cod fishery ultimately saw its demise in the 1990s, forms of this industry continue to fuel the local economy today. In Anchor Point, for instance, many of the residents continue to work as fish harvesters, or alternately in the shrimp plant, which employs upwards of 150 people each season. The Straits inventory is part of a founding collection for the Great Northern Peninsula Textiles Archive and Learning Center. This project, based in Conche, NL, is an on-going initiative to document and preserve the textile-based crafts that are being created on Newfoundland's Northern Peninsula. The items in this collection were gathered between May and July of 2010 and include photographs of textile craft objects such as sealskin boots, Newfoundland Quilts, knitted socks, and embroidered cloth. This inventory also includes audio clips of craftspeople discussing their particular textile-based skills and practices. Straits communities present in this collection include Green Island Brook, Pines Cove, Bird Cove, Black Duck Cove, Eddies Cove East, Anchor Point, Sandy Cove, and Flower's Cove. Flower's Cove, due to its comparably large population, has been given its own community inventory on the DAI. If you want to learn more about this collection click here and if you want to listen to an interview with Annette Myers about life in Bird Cove, knitting, crocheting, and selling textiles click here. 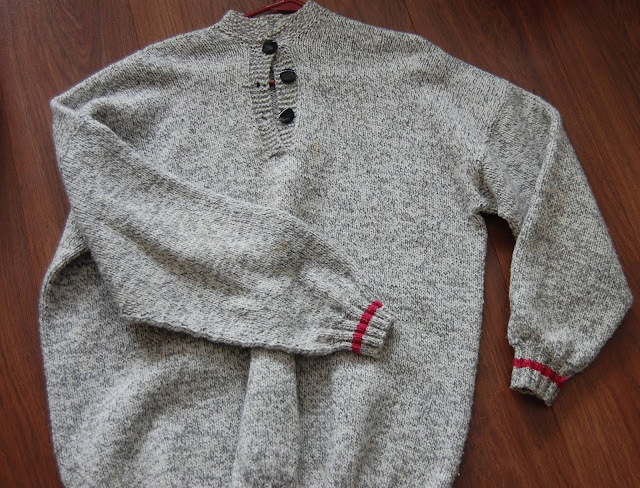 A sweater Annette Myers made for her husband, Bird Cove. Photo by Lisa Wilson. 2010. 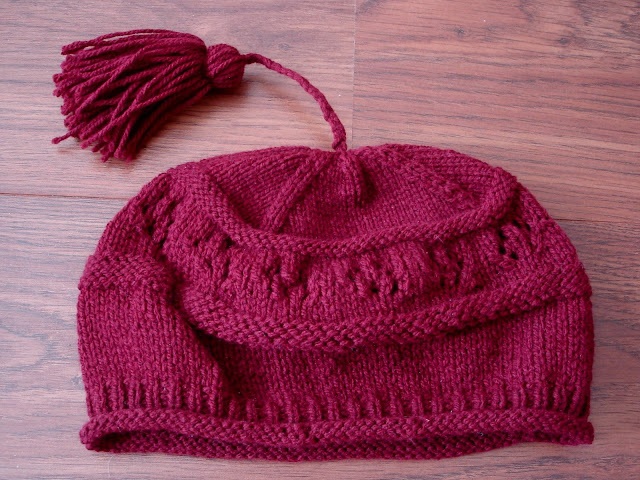 Dark pink winter hat made by Annette Myers, Bird Cove. Photo by Lisa Wilson. 2010.